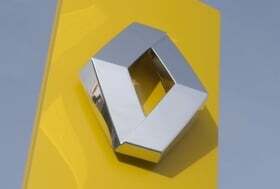 PARIS (Bloomberg) -- Renault SA reported a 16 percent jump in full-year revenue and said cash flow beat its forecast. Sales rose to almost 39 billion euros ($53.3 billion) in 2010, Renault said in a statement Monday. Analysts predicted 38.1 billion euros in revenue, according to the average of 10 estimates. Net income will include a 2 billion-euro capital gain from the sale of a stake in truckmaker Volvo AB. The company plans to announce detailed earnings Feb. 10. Renault's second-half cash-flow outperformance is worth about 1 euro per share “by sheer virtue of net debt reduction,” London-based Credit Suisse analyst David Arnold said in an e-mailed note. The company's operating margin was still only 1.6 percent in the period, based on the estimates published today, Arnold said, reinforcing the bank's preference for “premium over mass” automakers. Renault boosted global sales 14 percent last year to a record 2.63 million cars and light trucks, it said Jan. 10, as emerging markets rebounded and government subsidies spurred European demand. Revenue from the final quarter helped Renault increase full-year operating free cash flow from automaking to 1.67 billion euros, more than double a target for 700 million euros, the company said. “The group has largely exceeded its annual free cash flow objective and reduced net automotive debt to 1.4 billion euros," Chief Executive Officer Carlos Ghosn said in the statement. The CEO said this month that Renault was the victim of an ‘‘organized, international ring'' that may have passed data on vehicle architecture and costs to foreign competitors. It suspended and then dismissed three executives.